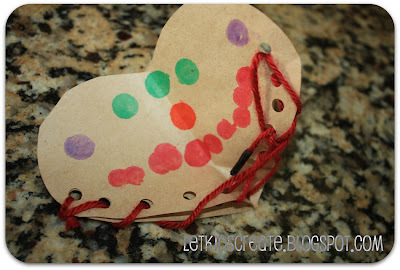 A few weeks ago, we heard of the Creative Challenge given by Tinkerlab. The material for this challenge was to be paper bags. 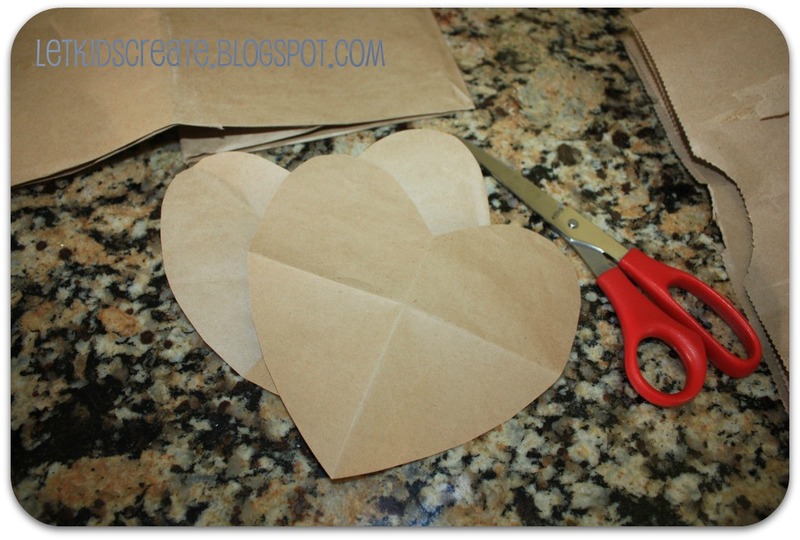 I had a few paper grocery bags stashed away for who-knows-what and they were perfect for the challenge. We tried a couple different things with them, but I am deciding to share this one with you today. It was difficult while brainstorming to get away from the idea of using the bags to hold something. 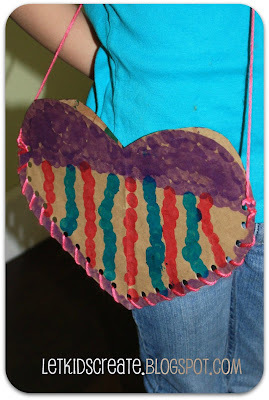 And because Valentine's Day is so close, we decided on making a heart purse. I helped the girls to cut out two identical hearts from the paper grocery bags. Then the girls got busy decorating them with their favorite Bingo Dot markers . Mina, who just turned 3, loved making faces on the hearts. She ended up making 2 purses in the end with these cute faces. Lou, who is nearly 8 years old now, went for a "designer bag". 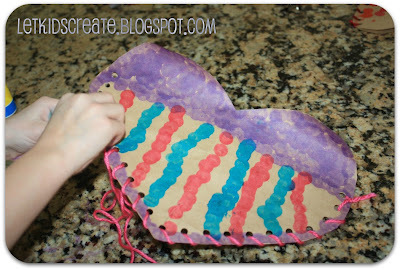 After the paint dots had dried, which didn't take long, I punched some holes around the edges of the hearts and tied a piece of yarn to one end so the girls could stitch them up. I began helping Mina out with hers, but then Lou needed a little assistance getting her holes punched. 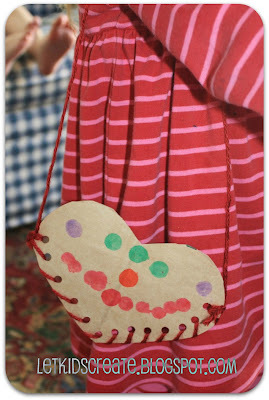 After a couple of minutes, Mina'a purse looked like this. She did much better with me guiding her along once I was able to get back to her. Lou zipped right along with hers. And Mina was thrilled to have a new purse to carry her little treasures in. 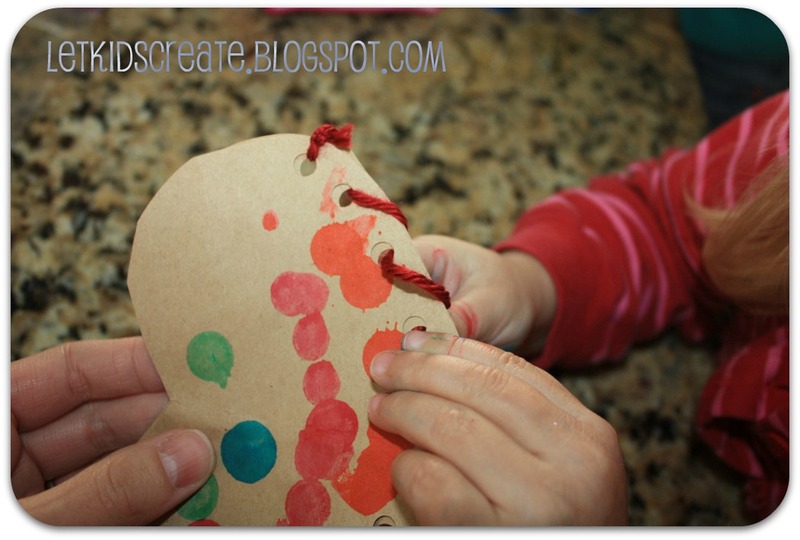 Now I invite you to join in this creative challenge. Join Tinkerlab and these other bloggers and get crafty with paper bags! The girls' purses are wonderful! I love projects that can be done with children of different ages, and this is just that! Thanks Rachelle, most of the things we do around here have to work for different ages. so cute! this is a fun activity that i know my youngest would enjoy! Sorry that I got confused and posted non-paper bag activities here! I need to read more carefully! Sorry... 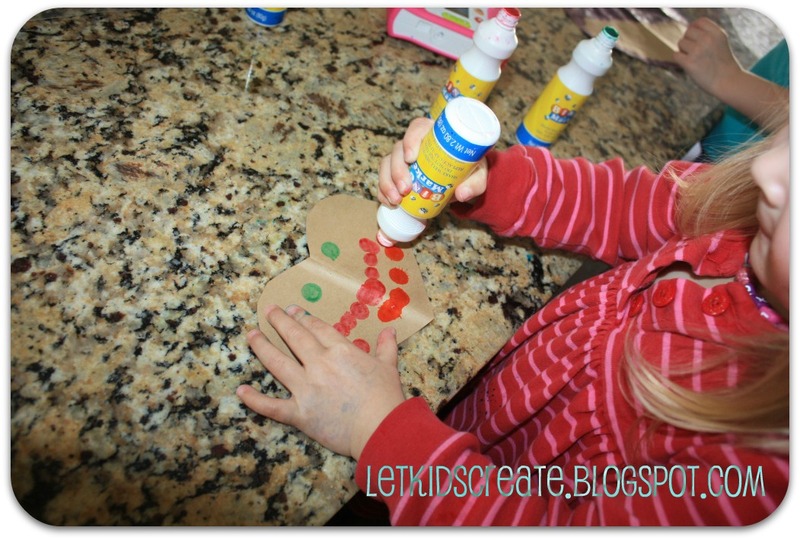 I got confused and I linked up a non-paper bag activity!! You can delete it.. so sorry about that. 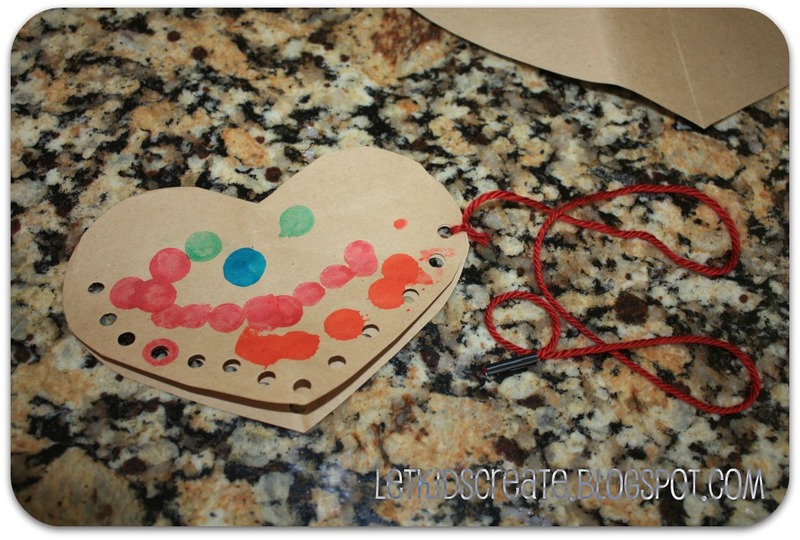 Such a creative activity, and I love that you ended up with a product that could be used for play! FUN! Little M would love to make her own little purse. 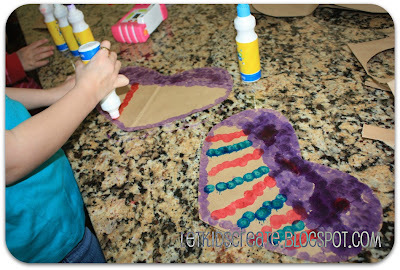 I did a "sewing" activity with M and M recently but there was way to much sewing involved. I think it was overwhelming. I like that with the purse get the experience without the sewing becoming too much.